It’s Christmastime, and Pip and Posy are busy decorating the tree with gingerbread and a beautiful sugar star. But the decorations keep mysteriously disappearing from the tree until there are none left at all. . . . Oh, dear! What will happen when Posy finds Pip lying on the sofa, feeling sick? Is it possible Pip might know what’s happened to all of the ornaments? 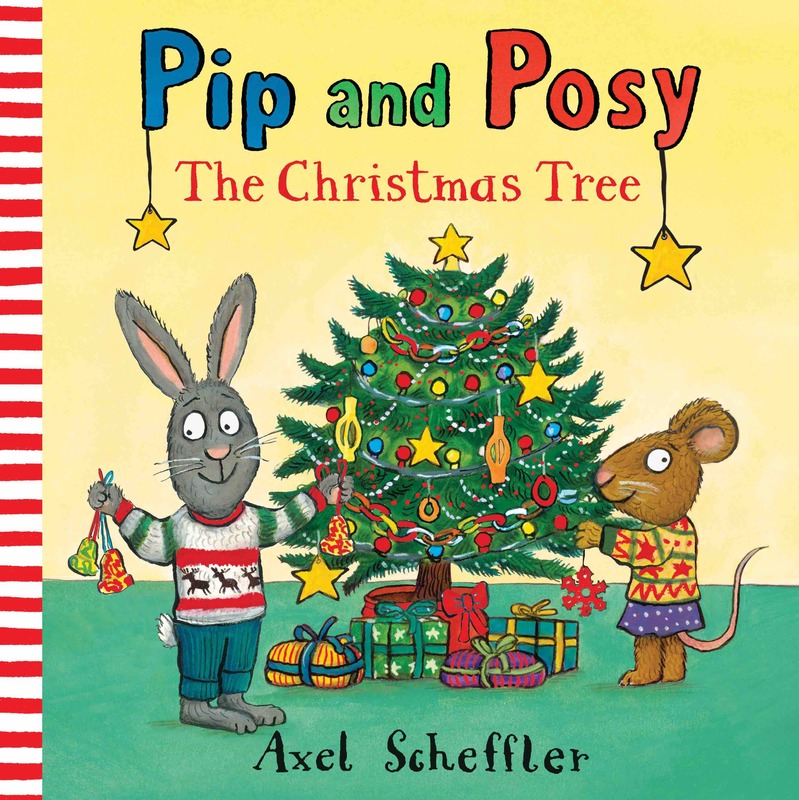 While adults will understand what’s going on with Pip and Posy’s Christmas tree, younger readers won’t immediately. It’s a mystery they get to solve, and it has a hidden health message in there for good measure. One white and snowy night, a little Christmas tree stands alone in the forest. Everything is white and lifeless. As the night goes on, there are signs of life: an orange fox, a red-breasted robin, a cloud of fireflies. By the end of the book, the little Christmas tree is transformed by nature. This is one of the prettier lift-the-flap books to cross my doorstep. 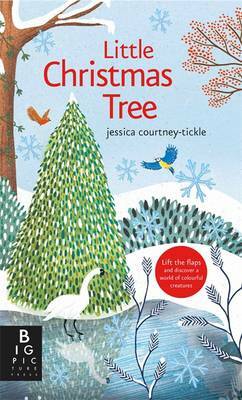 I love that this is a Christmas book that celebrates nature rather than presents. 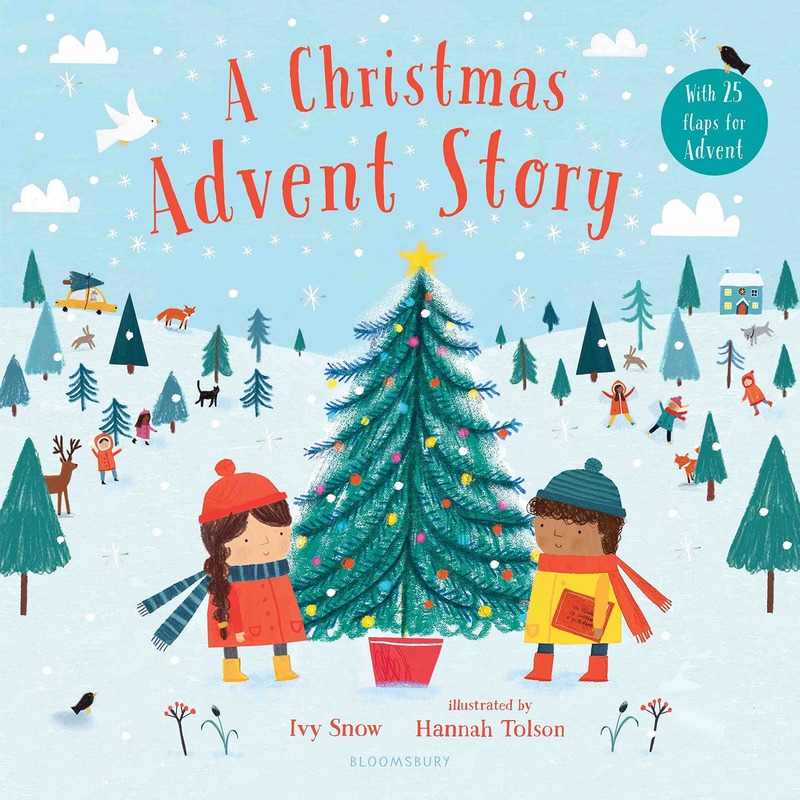 It would make a lovely addition to any Christmas collection. 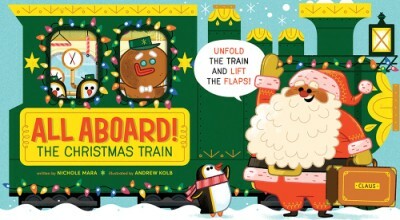 Folding out car by car, this accordion-style book takes readers on a tour of Santa’s Christmas train. Each car has lots to see—elves making toys, penguins playing, reindeer preparing for the big day—as Santa searches for his missing boot. With a running landscape dotted with objects for children to find and count on the back of the book, All Aboard! The Christmas Train is an interactive ride from beginning to end. This follow-up to Let’s Ride a Train is just as enjoyable as its predecessor. You’ll need room to spread out with this one, but you’ll be glad for it once you climb aboard the Christmas train. This sweet, but simple, book will appeal to the youngest of readers. It’s sparse text and bright illustrations are sure to bring giggles and smiles. 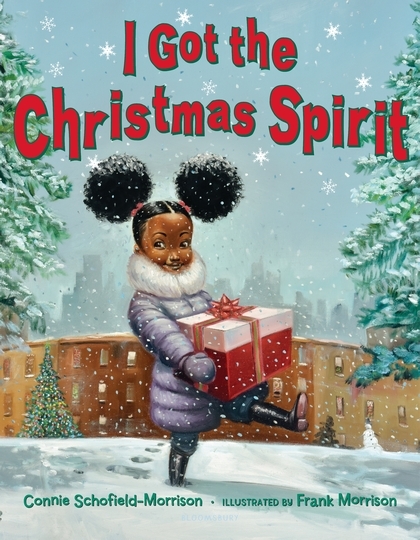 While this is not specifically a Christmas book, it’s prefect for reading during the holiday season. 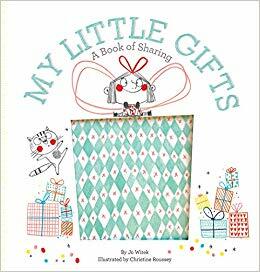 My Little Gifts is the latest in the Growing Hearts series from Jo Witek and Christine Roussey. I recommend any and all of the books from the series. The writing is heartfelt and the illustrations charming. We love our little ones through and through and especially at Christmas, too! 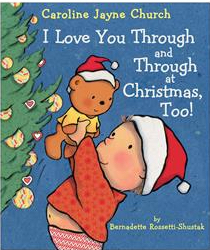 Join our bestselling toddler and bear as we huggle and snuggle and wiggle and giggle during this loving holiday. “I love you with bells and wreaths, garlands and trees, with ribbons and bows, from your head to your toes!” Share some love with your little one with I Love You Through and Through at Christmas, Too! A plucky robin, lost and alone, sets out on an epic journey, guided only by a call in his heart saying “come home!” He wills his wings to beat faster, lifting him over great mountains and dark forests, through blinding blizzards and rolling fog, across the wide, wild sea. 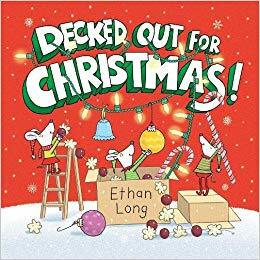 Can he find his way back to his family in time for Christmas? 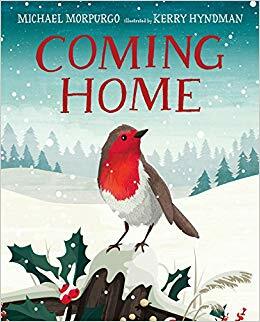 The text of Coming Home is more sophisticated than most picture books for young children. The poetic narrative may be difficult for those with short attention spans, but offers enough context that most will understand it. Beautiful illustrations bring prose to life in this gorgeous book. 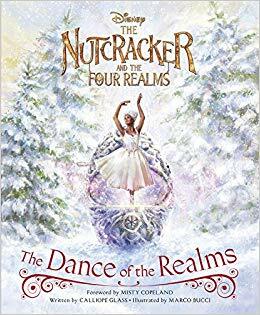 With a foreword written by celebrated dancer Misty Copeland, this picture book brings The Nutcracker and the Four Realms to life in a brand-new way. This version of The Nutcracker is not the one you grew up with. Elements are the same, but it’s almost an entirely different story. This book, as with two more listed below, have been released in conjunction with the Disney film The Nutcracker and the Four Realms. I have not seen the film so I can’t compare the book to it. The illustrations here have an impressionist feel to them that add to the dreamlike quality of Clara’s dream. It will never hold up to the source material, but if you can put it aside, this book is nice. 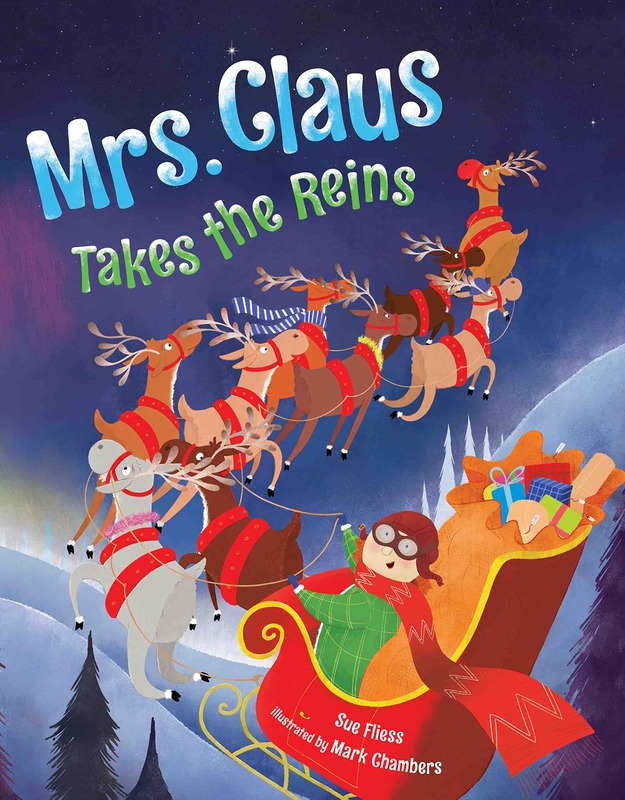 Mrs. Claus Takes the Reins is a delightful romp around the globe. Sue Fliess’ rhythmic text rolls off the tongue, and her imagination makes you grin. Mark Chambers’ illustrations are bright and cheerful and bring giggles throughout. 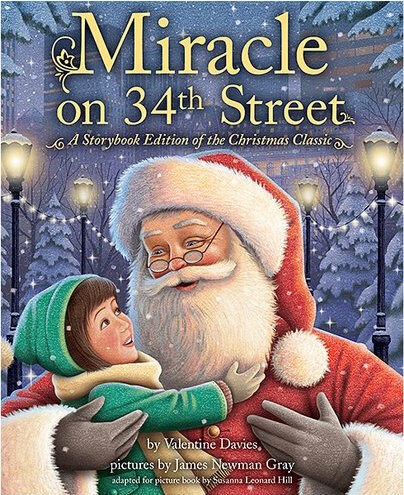 Not only do I love how this book brings Mrs. Claus to the foreground, but also that it shows a married couple sharing responsibility with them both stepping forward when needed. Who hasn’t seen the classic movie Miracle on 34th Street? This picture book version is almost a scene-for-scene carbon copy. The illustrations are beautiful, and this paired-down version still has charm. I think I’ll always prefer the move, but this book is a great introduction to little ones that may not want to watch the film. Follow along in this Read-Along Storybook and journey to a strange and magical world where a young girl named Clara meets a soldier named Phillip, a gang of mice, and regents who preside over the Realms. 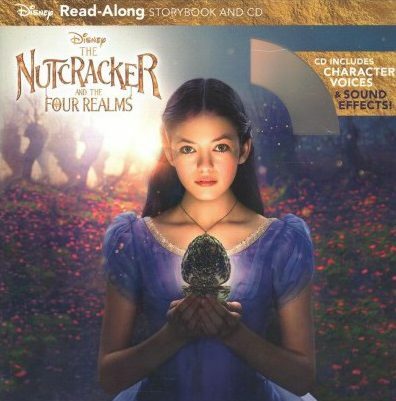 Complete with word-for-word narration, original character voices, sound effects, and stills from the film itself, there’s no better way to revisit The Nutcracker and the Four Realms. Transport back into a world alive with song, dance, and the magic of storytelling! Does anyone own a CD player anymore? If they do, they probably will enjoy the CD included with this book. Since I only have a CD player on my laptop, I’d have to save it to iTunes and let my daughter listen to it through another device. A digital download option would be nice. Otherwise, this book gives you a fine overall feel for the movie. 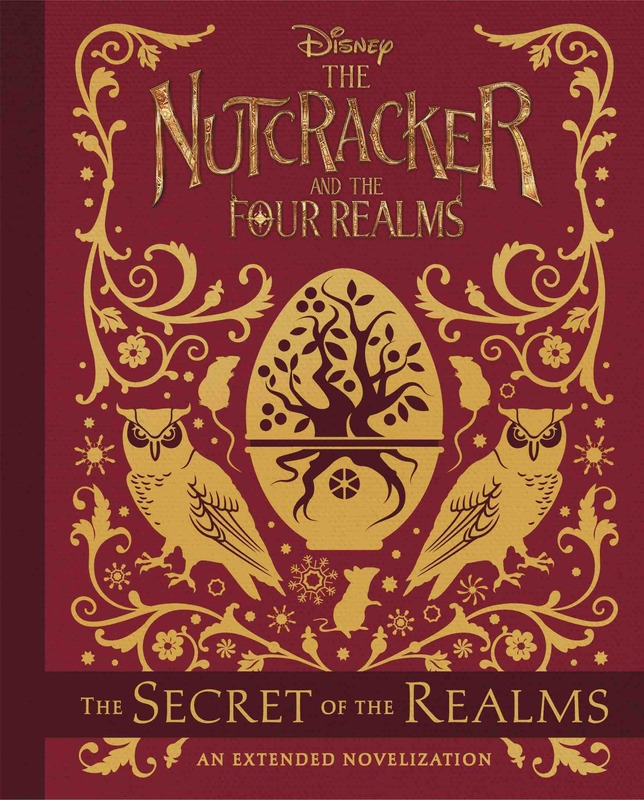 This novel not only retells the story from The Nutcracker and the Four Realms, but half of the book will expand and explore the world of the Walt Disney Studios film with brand-new, exclusive content. Complete with beautiful full-page chapter opener illustrations and never-before-seen details that add new depth to the story.